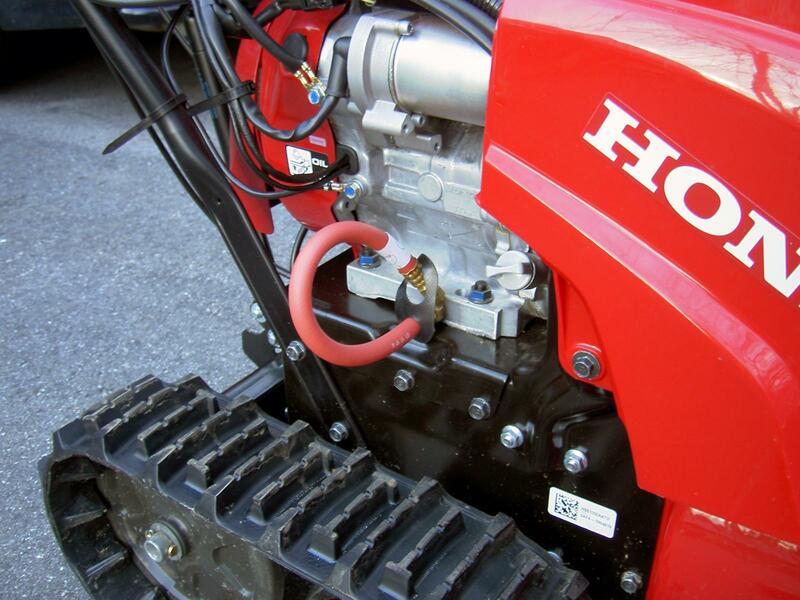 Sorry for the stupid question but have relatively new Toro snow blower. Went to change the oil and the Oil Drain extension pipe does not have any notches in it so I can keep it from turning while I open the drain end. It was brand new when I bought so it came from the factory like this? I've tried have a friend use a wrench to hold the extension pipe while I loose the end but no luck. Looking for a tip on how to accomplish this. Take a vise grip and firmly attach to the pipe extension (don't go ape on it and crush the pipe, just tight enough to hold it while you turn the end cap off). When you put the cap back on, just snug it up firmly...shouldn't need to use the vise grip again. Pipe wrench or vise grips, or tilt the blower on it's side and remove the pipe using a funnel, could remove the wheel also. I have gotten them new where the manufacturer put red Loctite on the caps. Heat, air impact wrench and Channelock 410's sad to say. On my units I have removed the OEM pipe and installed one with wrench notches. I tilt the machine, remove the wheel and use a long thin funnel. Takes a little longer, and sometimes still makes a mess. I have only found a few notched pipes on EBay. I'm always looking for more on other OPE to salvage. 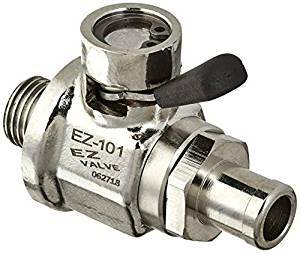 I install either a DrainZit hose or an EZ Oil Drain Valve on all my OPE at the end of the drain pipe. Makes oil changes very easy! Drainz it or similar good approach. For future use..... Could you put a street coupling or street elbow on it and that will give you something to hold with flats while you take the cap off? Does anybody know what the thread size I would need for the end of the drain extension tube ? 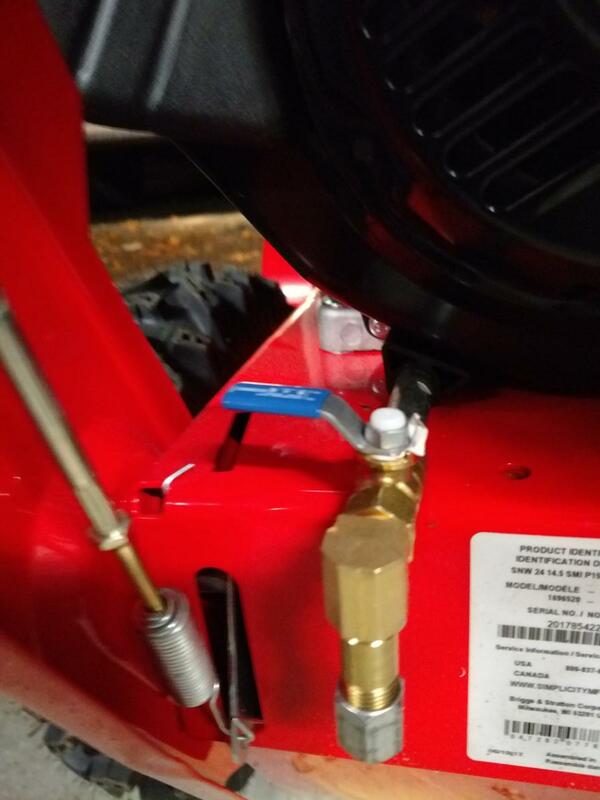 I would like to get one of either the DranZit hose or the EZ Oil Drain Valve for my new Toro Powermax 824 OE. It has the 252cc motor. Vise-grip and then when you get a chance and you've drained the oil. Pull the tube, clean the threads and hole well and use some thread locker on them but not on the end cap. Here's what I did, everything from Home Depot, about $15. The reason for the 90* elbow at the end, is so it can be loosened without unscrewing the pipe out of the engine.